That your steel voice might have inspired to live a little. The better to hold your insatiable hunger. We are all equally vile and dreamy. I find them in no one but you, my earth. With its parted lips, with its open arms. Until the wind blows away all its lying grains. Caresses are a lie, love is a lie, friendship a lie. As if with human shadows. Nor that brief smile’s mouth. Like mine, a little ways off. I hear my own desire. The song of my happiness. I leave you life, desire, song. And turned to yellow glory. Still falls on the fields. Crows circle and glide away. The way their fathers did. Find the hands of friends. Live the same hopes, together. Its love: a naked cross. But light is leaving the land. It’s late and it’s getting cold. Like a soul set apart in struggle. And left me in exile. On the strength of memories. What can a dead man say? 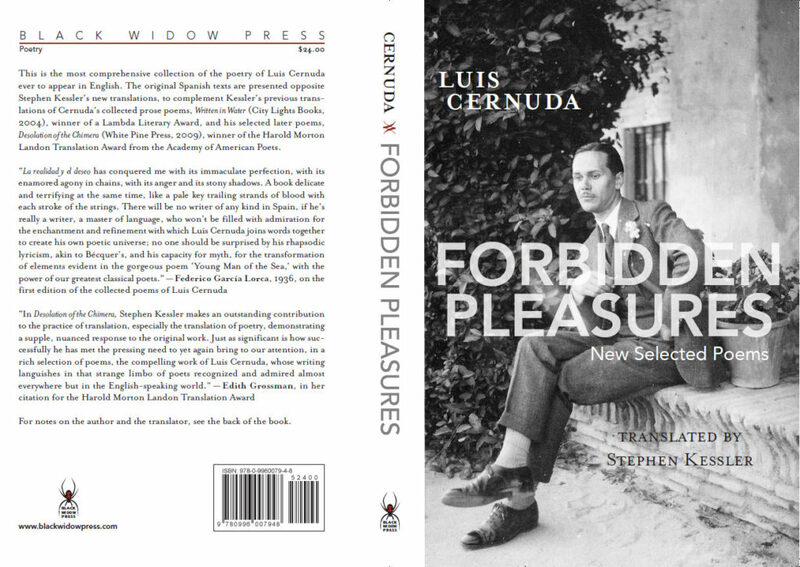 LUIS CERNUDA (1902-1963), one of Spain’s leading twentieth-century poets, was born in Seville, left Spain during the Civil War, and spent the rest of his life in exile in Great Britain, the United States, and finally Mexico. 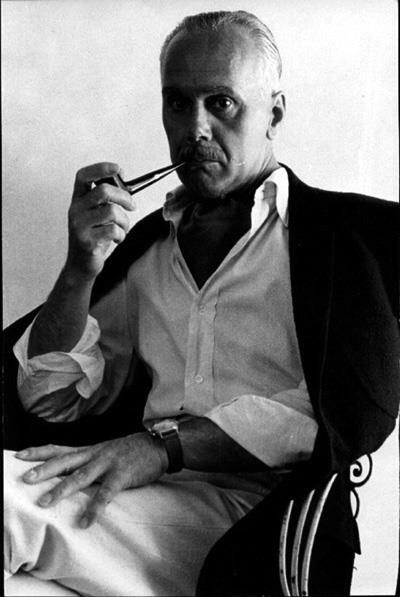 His books in English, translated by Stephen Kessler, include Written in Water: Prose Poems (City Lights Books), winner of the Lambda Literary Award for Gay Men’s Poetry; Desolation of the Chimera: Last Poems (White Pine Press), winner of the Harold Morton Landon Translation Award of the Academy of American Poets; and Forbidden Pleasures: New Selected Poems (Black Widow Press), winner of the PEN Center USA Literary Award for Translation, and from which the selection here is taken. 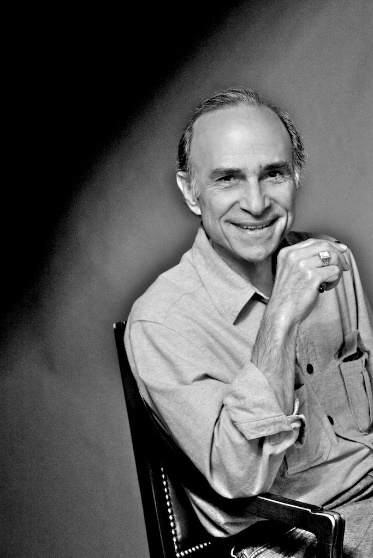 STEPHEN KESSLER is a poet, prose writer, translator, and editor living in California. His most recent books include Where Was I? (prose poems, Greenhouse Review Press), Save Twilight: Selected Poems by Julio Cortázar (City Lights Books), and Need I Say More? (essays, El León Literary Arts), as well as Cernuda’s Forbidden Pleasures. His essay “The Architecture of Memory” recently appeared in the Los Angeles Review of Books. From 1999 through 2014 he was the founder and editor of The Redwood Coast Review.